I think I told you I recently updated my MacBook, right? 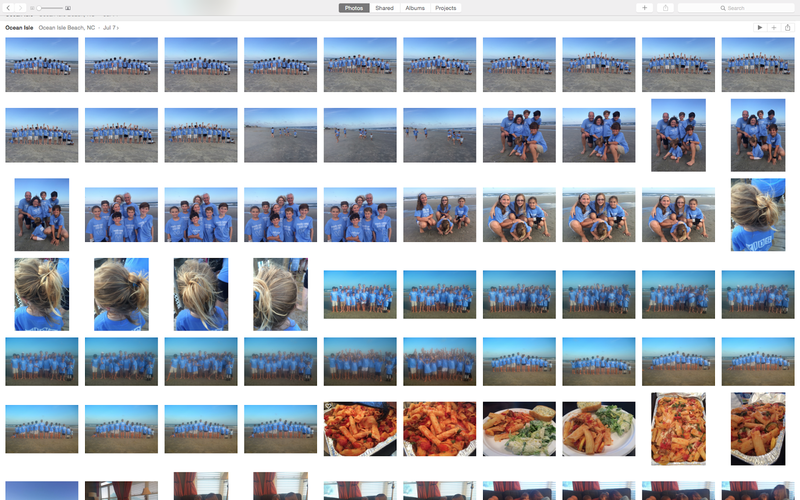 And it updated me right into a version of iPhoto that I cannot FOR THE LIFE OF ME FIGURE OUT. It's just called Photos. That's it. "Photos." No i. And when they took the i out, they took out all the logic. If you ask me. All of my albums are gone, and my photos are just dumped in there all willy-nilly. They're grouped, but, for example, all my pictures from the beach trip are just dumped in there in one spot together. All 500 of them. Not in order by day or anything. 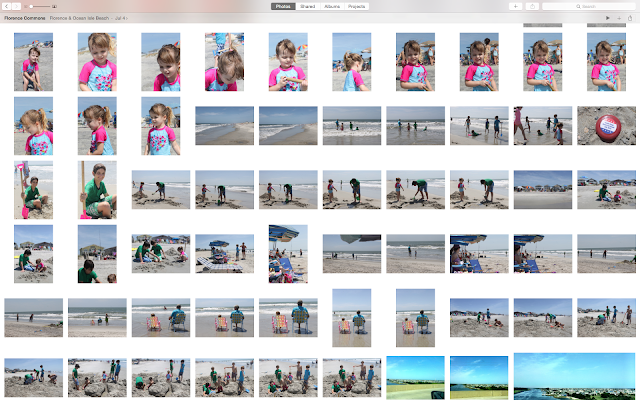 So if I want to show you our trip, I have to go in there and MANUALLY figure out which day I took which pictures? I even went to the Apple website last night to see if they could tell me how to get my albums back. Because I had the entire beach trip separated out into Beach-Saturday, Beach-Sunday, Beach-Monday, etc., albums, before this dumb update. But now? No album titles. Just more than 30,000 pictures all in Photos, sorted by date. IT'S GOING TO PUT ME IN AN EARLY GRAVE, INTERNET. 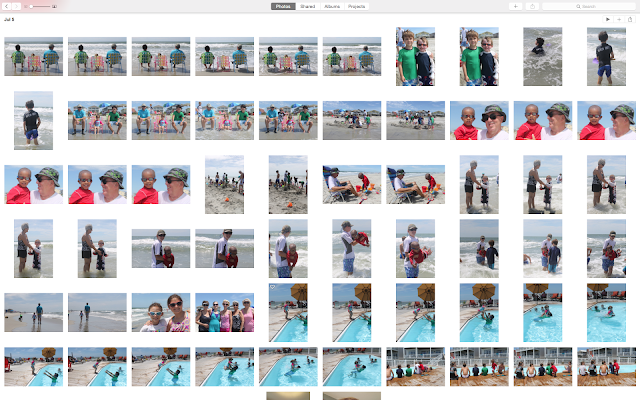 I have cute pictures I want to show you from our beach trip in July. I mean, now that we're a few days into Fall, I figured it was time to share them with you. It's become my custom to share everything with you roughly one quarter in arrears, you know. Quite frankly, there are as many women interested in the recipes from the trip as there are people interested in seeing the pictures of the people, probably. Pasta. It is the tie that binds us together. So when I get to the point that I can figure out how to share more with you than screenshotted thumbnails, I'll letchu know.